I am a MSc. student at Warsaw University of Technology, Faculty of Electronics and Information Technology. I stayed at CERN from October 2004 until September 2005 as a technical student. I was a member of DES-DIS group and worked with Oracle databases backups. My thesis is related to the area of my work at CERN - I am developing an application that will support development of backup strategies for Oracle databases. Apart from Oracle I am interested in machine learning, evolutionary, heuristic and data mining algorithms. 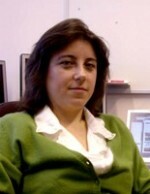 Liliana Teodorescu is a Lecturer at Brunel University, UK. She holds a Ph.D. in Particle Physics from Bucharest University, Romania. Since her graduation she worked on particle physics experiments at different laboratories around the world: Thomas Jefferson National Accelerator Facility (TJNAF), USA, Instituto Nazionale di Fisica Nucleare (INFN) – Pisa, Italy and Stanford Linear Accelerator Centre (SLAC), USA. She is currently working on CMS and BaBar experiments, being particularly interested in development of new algorithms for data analysis. Vijayalakshmi Sundararajan is currently a BCS-ISEB certified Test Analyst based in NewCastle, UK. She has been actively working in the IT industry since 1999. She worked for one of India's largest software company and gained expertise in software testing while serving clients like Morgan Stanley and Lucent Technologies. In 2005, she collaborated through Université Libre de Bruxelles, Belgium with the CMS computing team at CERN to develop the infrastructure for automatic software validation. I am currently working on my doctoral degree in physics at the Albert-Ludwigs Universität in Freiburg, Germany after receiving my diploma in computer science at the same University. Our group participates in the COMPASS experiment at CERN. The experiments main goal is to investigate the structure of the nucleon. 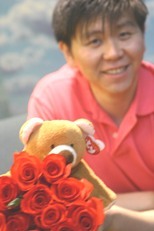 There I am involved in the physics analysis and the development of intelligent tracking algorithms. My interests include statistical learning and its application in HEP. I am a PhD student at University of Alberta, Canada. Working on Atlas, the "computing part" is on the simulation of LUCID detector and the Monte Carlo study of some physics processes. Although I’m still a newcomer to HEP, I have been playing with computers since I was 8 years old. Starting with Basic and DOS, I came across quite a few OS and several languages, and started programming with C in junior high school. Programming is one of my most favorite exercises (both mental and physical). I've get a lot of stories to share with everyone. However, the more I learn, the more I realize my weaknesses. I’m looking forward for the chance to learn from all of you.